His Imperial Majesty Emperor Haile Selassie I and Her Imperial Majesty Empress Menen Asfaw. acknowledge it and I beg your majesty in the state of fear to present the book. book in order to help for the historians to give them source. am initiated after I had observed your charity and kindness. struggle for the better, but also women contributed a lot on their part being on the side of men. place in the history of mankind. at home. History mention that they invite the army and have good social relations. made them famous and their name is noticed in the world. Adua battle field as a soldier and as a commander of the army before 62 years. Mekonnen the 'Duke' of Harar. her hand for the poor so that all Ethiopians like her very much. people in the capital city. 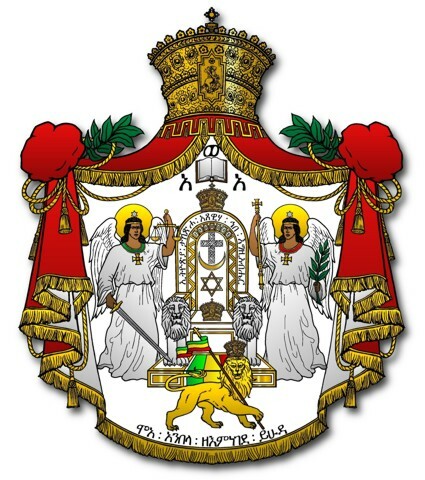 to strength the dynasty except King of Kings Haile Sellassie and Empress Menen. their grand children's effort and success. work by writing her biography in the following chapters. 'Menen' is given for the most beautiful respected ladies. "Jantiror Asfaw, "Jantirar' Gebre Egziabher and "Woizero' Desta. Ceremony was accomplished in the following condition. His Majesty King of Ethiopia Haile Sellassie was the Governor of Harar. Mariam and her Christian name is Fikirte Mariam. Haile Sellassie. Princess Tanagne Work have go many children and become grand mother. name was give Amha Sellassie. Dawa they travelled by train to Awash and they reached at Akaki on Sept 1. Zenebework. The princess died in March 15 1925 having no children. behalf of the people and Empress Menen has got a rank of princess. their grand-father king Michale made civil war since he was at the side of his son Lij Eyasu Michael. showed her loyalty helping him up to the end. "Woizero' Menen became Empress also got the rank of princess and gold crown. Menen invested a lot of money and constructed the church. Woizero Menen will be Empress in the future. In March 16 1915 the "Kidane Mihret" church started its ceremony. The church became monastery and called "Hamere Noh'. Damtew on Nov 7 1917.
funeral ceremony was at Debre Selam Medhane Alem Church. different kinds of handicraft products. her ability in inviting the invited guests throughout 8 days feasting. Michale Church at Tenta. By the time she accompanied up to Desie and came back to Addis Ababa. also the same chance as her husband promoted. this school a great number of ladies has got a chance to learn. King of Kings of Ethiopia Haile Sellassie I and Empress Menen. grand father prince Sahile Aba Dina. He was baptized at 'Mekane Sellassie' Church in Addis Ababa. married legally with princess Wolete Israel. land to priests and deacons of the church. Empress Menen also gave urban land for the residents. different Churches and monasteries constructed St. Trinity church for Ethiopians on her account. She donated a lot of money for the monastery & clergymen and inaugurated the church. his being the head prince of Harar. nation states. Sept. 13, 1928. "I am pleased to present my speech to all world women. peace and freedom. We are very happy to express our deep feeling for the association. translated my speech into English language. and world women should hear their voice. interrelated with the same will and objectives. destruction of the family and can make people immigrant. So women are against war. bloodshed comes on both sides. Ethiopian people good hospitality to foreigners has been narrated in the history of the world. always on the line of peace, while the rival state is looking only its own interest. devastate the wealth of the country and destroy our family in the name of modernization. contribute a lot to settle this conflict peacefully. started, we women should treat wounded soldiers and minimize the trouble of the war. know that these women assist the sacrified patriot's family. guided on the line of God, we pray for this and you may collaborate with us." has been praying waged spiritual war against the enemy. King of Kings came back to the capital city to give the guide instruction for the rest of the people. Europe with him to assist through advice and constructive idea. (1941) she has seen the rise of Ethiopia. God for this inhuman act. extends congratulations with great pleasure "I extend my greetings to Prince Crown Mekonnen"
came back with a victory staying in the bush for 5 years. Secondly, any human being may have a great pleasure when he or she join with his/her birth place. "Next I am very grateful for the people who received me with great pleasure. countries has never been under colony and has been ruled only by its own kings. campaign tried to dismiss our unity and divide our people. hoes, spade and machine guns. when we see our country freed from any aggression and we are very thankful to Almighty God. "You have seen that people without freedom is victim as this was seen during 5 years aggression. "My native ladies and gentle men of Wollo our country has been free since 3000 years back. flag and king for our common motherland Ethiopia. We have to be one and united. I was living alienated my self from you. I was with you spiritually. with great happiness by her speech. parts of Harar. Then after her visit she came back to Addis Ababa, capital city of Ethiopia. promoted now to Brigadier General in legal marriage. association is going to be strengthen. In 1935 she gave her estate for the orphans whose fathers and mothers were killed by the enemy. She opened Siwaswe Birhan school. In this school even blinds are learning how to write and read. prince Sahle Sellassie came back from England. On this occasion there was invitation in the palace. patriots and princess Tsehay's dead body. the 'Duke' of Harar and princess Sara Gizaw got married legally on crown ceremony. 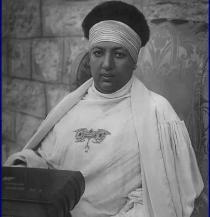 students Empress Menen put the base stone to be built for a new building for 300 girls. received and talked to ladies of Gondar and donated her money to incourage women. from Addis Ababa. this modern building was started on her private account. Menen gave estate and residence area for priests and deacons of St. Mary church. In May 29, 1940 she visited Ambo town and the surrounding area. initiative to wear cultural dress for the first time in new year. the school which is named by her beloved daughter princess Zenebework. In Jan. 24, 1941 Empress Menen traveled by an extraordinary plane to Gondar for the second time. were 3800 which were sold and for 'Sewaswe Berhan' St. Paul school as a donation. Sellassie I Bridge. This bridge was built across Abay River for the first time. old believers to get access to the church. when it was opened for the first time. which is named by princes Azeb Asfa-Wosen. Menen encouraged and gave her motherly advice to the students. Dessie. She returned back to Addis Ababa on Oct. 18.
school She encouraged the students to keep it up. Menen resolved problems which come up from the people. assisted finance to ladies and came back Feb. 3, 1945 to Addis Ababa. Empress Menen celebrated majesty's birthday in Genete Leul Palace. and the second fasting in Harar. She donated finance to priests and stayed up to pagumen 4.
ceremony. Empress Menen thanked for the Almighty God there. In Dec. 15, 1948 she went to Massawa by an extraordinary airplane to visit Eritrea for fourth time. Christmas gifts for the young ladies of Asmara. She came back to Addis on January 8, 1948.
boarding students. The building was effective from Dec. 30, 1949.
believe girls should learn as boys. expected from them as their brothers. of education I am very happy to see to this progress. and the progress of the school. back to Addis Ababa by plane. In May 5, 1949 on the funeral ceremony she felt deep sorrow. Empress Menen was mourned up to pagumen 4, 1949 for the death of her beloved son. promoted and assigned in the government offices. for the sin of all mankind. front and fulfill whatever they demand. Trinity, Endelba St. George church etc. Majesty Haile Sellassie, for her country Ethiopia, and for the development of the loyal of Ethiopia. interpreted books the church. This shows how she is far sighted and have bright brain. to solve. Ethiopian people rely on her. is well known by Ethiopian people. happiness and sadness of her. On the occasion of 67th of her birth day ceremony all Ethiopian people wish the best for Empress. 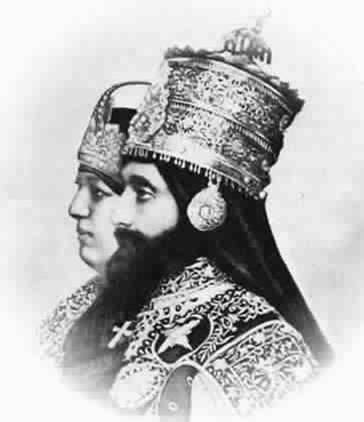 king of kings Haile Sellassie is also with you on the ceremony of your birthday.